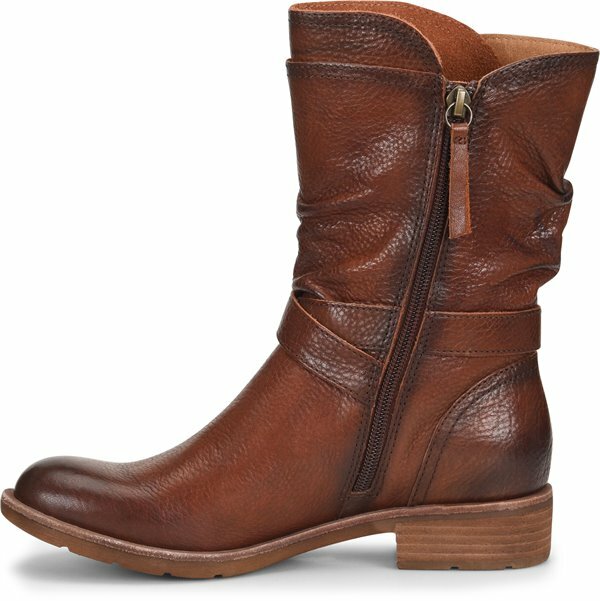 Product description: Fashionable details - from the sculpted layered shaft to the gently slouched silhouette - make this modern engineer boot a standout. Slightly tight putting feet into the boots at first due to the leather being a bit stiff but they softened up nicely after a couple of days worth of wear (once my feet were in, the stiff leather wasn't an issue). I usually wear between a 7.5 and 8 and I ordered an 8 and I'm glad I did. 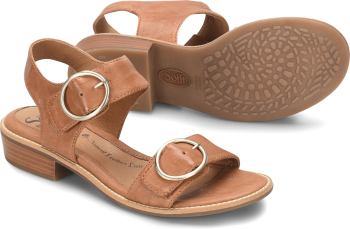 They fit perfectly but if you have a wide foot they might not be wide enough for you in your normal size. These are so nice looking, I was afraid I wouldn't like the Whiskey color but they are a nice brown for fall. 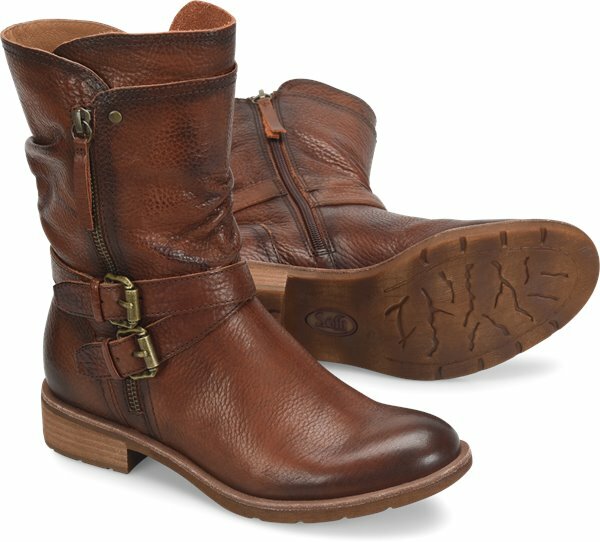 I can wear them all day without my feet and legs getting as tired as when I wear other boots. They have kept my feet warm and dry during the recent rains we had in California. I'm very happy I bought these, I've been wearing them everyday!! 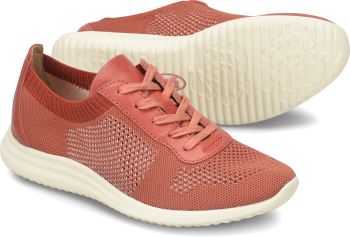 Yes, these are perfect for me, love the fit, color and style. Beautiful quality leather boots, but they are slightly narrow. Going to try a half size larger since they don't make wide, otherwise sadly I won't keep them. 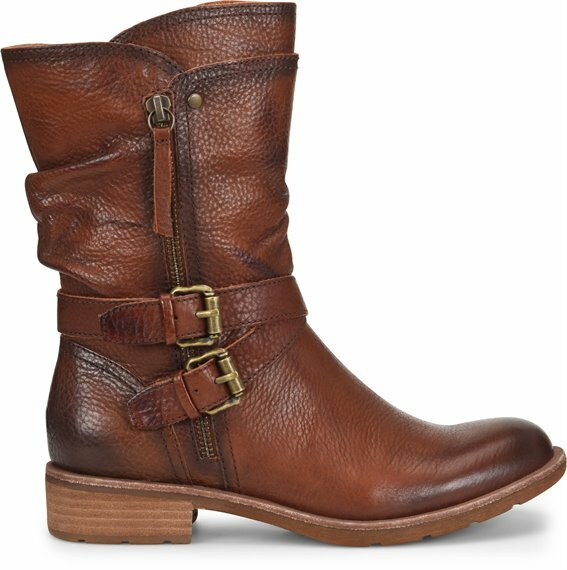 Love these boots - have them in Whiskey and every time I wear them I receive so many compliments. I have a hard time finding shoes that I think are really comfortable but these are it. Love them and considering buying in black also! I have this in black. It fit perfectly and true to size. I have worn it all weekend with jeans and tights. Lots of comments and so very comfortable. 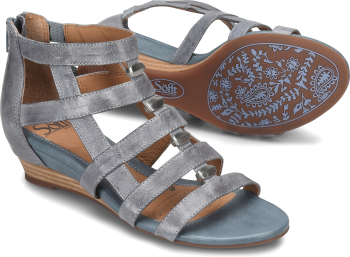 Many Sofft shoes are a 1/2 some to big for me, but this was perfect. I wear a 9M.